The decision-making process during situations of crisis and war is often difficult and challenging. There is a need to make the correct decisions in circumstances of uncertainty, often during a very short space of time and under the pressure forced upon the decision maker by multiple factors. This need transforms the process into an extensively complex one, which is also susceptible to many influences. Decision makers of the senior political and security echelons are required to be familiar with the data and information that constructs a picture of reality facing them. They are also required to be a part of the process of the evaluation and interpretation of this reality, and primarily, to understand the derived implications. Being aware of, recognizing and understanding the consideration/calculation system of the opponent and his desires and constraints, is one of the most important and decisive factors taken into account during the decision-making process. A lack of understanding of the consideration/calculation system can be bridged through an analysis of rhetoric expressed during an opposing leadership’s public appearances and remarks both during times of peace and most certainly during times of war. An analysis of rhetoric can be compared to extracting the essence from the whole. When the opposing leadership appears in public, it is aware of the possible effect on the other side, and will act to phrase its words accordingly. Therefore, the research challenge is focused on the attempt to select the essence (the true objectives of the opponent) from the whole (the attempt of the opponent to blur his objectives and mislead his rival). Often, the opposing leaders are under the stress of a massive military attack. They are forced to defend themselves and hide. The only way they have of influencing their audiences is through speeches broadcast on radio-stations or footage aired on television channels. This occurred with Hitler in Germany towards the end of the Second World War. It is currently the manner in which the Al-Qaeda terror organization leadership is operating. And it is in fact the manner in which the leader of the Hezbollah organization, Hassan Nasrallah, acted during the course of the Second Lebanon War. Nasrallah's appearances in the media during the war, served him as a primary tool, perhaps the only one, to convey his messages to his different target audiences and to attempt to promote his objectives. The leader of the Hezbollah organization, Hassan Nasrallah, has led the long, ongoing warfare against Israel since the establishment of the organization. In the years 1982-1983 he occupied a number of different positions in the Hezbollah organization, until his appointment to Secretary General in 1992 (the most senior position in Hezbollah), which he maintains to this day. Nassrallah was gradually exposed to the Israeli public and leadership during the IDF's presence in the “Security Zone” in southern Lebanon and its fighting against the Hezbollah organization. This exposure broadened and deepened during the period (the nineties) when Israel initiated wide scale operations against Hezbollah in Lebanon (operation “Din VeHeshbon” July 1993 and “Grapes of Wrath” April 1996). The exposure reached its peak after the withdrawal of IDF forces from Lebanon (May 2000) in the notorious speech where Nasrallah compared the strength of the Israeli society to “cobwebs”. The measure of Nasrallah’s success in leading the campaign against Israel's presence in Lebanon was determined not only by the violent struggle carried out by Hezbollah against Israel, but also by Nasrallah’s rhetoric abilities and influence over the Israeli public opinion, its leaders and the Arab and Muslim world. It seems that since the public appearances and media speeches of Gamal Abdel Nasser, Egypt’s leader of about four decades ago; there has been no leader in the Arab world, which has succeeded to influence with such ferocity the public and leadership in Israel-that is until Nasrallah. During the Second Lebanon War, Nasrallah’s media appearances were broadcast throughout Israel, analyzed by interpreters and content experts, and received a strong reactionary response (mainly due to segments of his speeches which focused on threats against Israel and mentioning of the Israeli abducted soldiers) from the political leadership and senior members of the Israeli security establishment. Nasrallah appeared in the broadcast Media (Al-Manar Television and Al-Nur Radio belonging to the Hezbollah organization in Lebanon) ten times during the war (July 12th – August 14th). Only once (the evening when the war began) did he publicly appear at a press conference in Beirut where he declared that he was holding the abducted Israeli soldiers (July 12th).At other times during the war his speeches were broadcast by means of recordings filmed in advance at his hiding place. To what extent could an effective use of the analysis of Nasrallah's rhetoric, expressed in his media appearances, have contributed to the understanding of his policy, and as a derivative, have influenced Israeli decision-making and a different Israeli policy management during the war? The second: an attempt to sketch Nasrallah’s manner of coping with inner Lebanese, inter-Arab and international policy regarding the campaign in Lebanon (as can be concluded from his speeches and interviews). And the third: to identify Hezbollah's concept of military mobilization (as can be concluded from his speeches and interviews). In light of the above objectives: the research will focus on an attempt to analyze the causes which led to a change in Nasrallah’s insights from the beginning of the war to the end, and the implications there-of on Israeli decision-makers' management of the war. Nasrallah’s insights during the thirty-four days of the campaign, which derived from developments in the operational, political, and social aspects of both parties, caused changes in the rhetoric and content of his speeches. A wise and immediate use of these insights during the war could have affected the Israeli decision-making process, which stemmed from different Israeli political and military aspects. Therefore, it is to a noticeable extent that the ancient fear of using rhetoric as an art of style, which may harm the possibility of achieving the “truth,” received an entirely different meaning after 2500 years. The collapse of the “ultimate truth” also directly influenced the use of rhetoric. The rhetorician is in fact obligated to a “narrative” which he chooses to represent. In the post-modern era where old truths and perceptions were exchanged for a personal, social and national “narrative” the speaker can use rhetoric as an art of argumentation accompanied by all the methods and techniques that developed throughout history. Yet, he does not strive for the “truth” but rather to that which serves and supports the chosen “narrative”. In the new age, not only are the discussions “lacking clear and complete criteria of subjection” argued Frogel, but the character of war and campaigns, notably between state-like entities and terror organizations, became difficult to determine. The term of "absolute victory" remained the property of the conventional wars of the past where regular militaries fought one another until they reached a situation of clear, unequivocal victory or defeat. What is victory? Who defines it? In the era of asymmetrical conflicts any side can claim victory and an achievement of a war's objectives. This era provides room for attempting to correlate between the use of rhetoric in the 20th century to the term the “truth” serving the “narrative” of a terror organization leader’s victory. The term rhetoric in its dictionary literal meaning is – the art of speech giving, since originally it indeed derived from the art of the speaker. Throughout history, since the time of Ancient Greece and until the 20th century, rhetoric and rhetoricians were involved with many different worlds of content, which were added to rhetoric, layer by layer. Different philosophers and intellectuals have enriched the art and literature, dealing with rhetoric, reflects the many diverse aspects that were added to it over time. Thus, the development of rhetoric can be seen from its genesis during Ancient Greece, through Rome, the Middle Ages, Renaissance, the New Age and the 20th century. During every period, philosophers and intellectuals have influenced this development through debates, disputes and exchanges of opinions. In the ancient era, for example, the question was raised of whether and how is it proper to use rhetoric in order to present “truth” or “justice”? “Bad rhetoric” whose purpose is to repair the souls of people was defined as “fine rhetoric.” Plato even mentioned a number of conditions required of “fine rhetoric” for example: disuse of vague and controversial terms, presentation of practically organized arguments, arguments supported by vast knowledge of the topic at hand, etc. Aristotle (322-384 B.C), the apprentice and successor of Plato, dealt largely with the comparison between rhetoric and dialectics. He claimed that a common denominator exists between the two because both are nonscientific subjects. Both are required when needed to prove a claim and its counter claim. Both are art (te’chne’) and not a field of knowledge. Therefore, Aristotle strived to present rhetoric as an art of argumentation (presenting claims) and not as an art of style. In this way, it would have been easier to lessen the accompanying negative meanings that even then accompanied rhetoric. In Rome, rhetoric was perceived as an essential art for a good statesman. Their examination of the linkage between rhetoric and politics contributed to the promotion of an educated political discussion. The Middle Ages are referred to as having made little contribution to the rhetoric tradition. However, it is worth mentioning the development of learning methodology through debate (an essential part of theology and law studies), the development of the art of letter writing and the development of the art of style studies in universities. Campbell distinguished between meanings of speech – the logical aspect, and the form in which thoughts are formulated through speech – the grammatical aspect. Hence, rhetoric is also logic. In fact, this is a broad perception of rhetoric as a general framework incorporating diverse forms of thought and speech, including the logical aspect. It is therefore a worthwhile and influential art. Blair (1718-1800) examined rhetoric through the term “human intellect.” He aimed at the intellect of the majority (and not the ability of the individual) derived from mutual conversational discourse, either in conversation or as appeared in written texts. Rhetoric receives its unique role as an art of persuasion with the objective of either encouraging or preventing an action. Whatley (1783-1846) distinguished between logics and rhetoric In contrast to a logical claim, with the rhetorical claim the conclusion is known in advance. The rhetoric effort is directed at support of the claim in which the speaker is interested and is therefore tendentious. Whatley claims that this is a crucial art for justifying your stance vis-à-vis you counterpart (as opposed to logic which is a crucial art for the benefit of revealing the truth). The researcher that significantly influenced rhetoric in the 20th century was Haim Perelman (1912-1984). His definition of “new” rhetoric (La nouvelle rhetoric) correlated with the classical tradition of rhetoric (mainly Aristotle’s rhetoric). New rhetoric, he claimed, is a theory of presenting dialectic and rhetoric claims, as an equivalent of formative logics, which is a theory of logical proof. According to Perelman, the basic difference between presenting a claim and presenting proof is that the claim is directed at the recipient, whereas proof obeys clear and known rules. Perelman saw himself as the one returning to Greek “logos” its original sense – the connection between speech and thought. Where does the Islamic-Shi’ite rhetoric reside with regards to its historical development in the Arab world? Concerning this matter, insufficient material was available, yet literature referring to the growth of religious Shi’ite leaders enables a glimpse at this hidden universe. For example, it is possible to observe the list of mandatory subjects requiring both study and prior knowledge, which are a preliminary condition for the “Mula” (a title of respect for a religious and learned person) to become “Ijtihad,” as phrased by Khomeini (leader of the Islamic Revolution in Iran, 1979). Amongst these subjects are: teachings of the science of logic as well as making the maximum effort and recruitment of all a person's strength to deduce and formulate conclusions from religious law. The teaching method at the “Madrasah” (the Islamic religious common learning institutions) can provide insight to Khomeini’s way of educating which is based on raising arguments and providing their contradictions, which the teacher then invites his pupils to debate with him. This nature of studies provides the student with rhetoric and dialectic stimulus and and a broad reference to those skills. To serve for his needs Khomeini even used terms taken from military terminology which he learned when listening to radio broadcasts from Germany and England during the Second World War. Furthermore, some claim, that he took part in the practice of flattery to Hitler. Consequently, my estimate is that in the process Khomeini may have endorsed, in his own speeches, methods used by Hitler. In summary, the theoretical background at the basis of the research is vast, diverse and taken from different disciplines and fields of knowledge (Western and Muslim) which encompass long historical periods. This paper will analyze and discuss the rhetoric, used by Nasrallah during the Second Lebanon War. This rhetoric indicates a man who drew his education and knowledge from a number of sources: from spiritual religious education in accordance with the best of Shiite Muslim tradition, from the political, spiritual religious leaders who led the significant changes in Iran and Lebanon and from his studies of the West in general and Israel in particular. All of the above is set against the background of Nasrallah's understanding and use of rhetoric as “living space in discussions lacking clear and complete criteria of subjection” (according to Frogel). The paper is comprised of five chapters. The introduction and literature overview begin by providing a brief background, presenting the research subject and the research thesis. Furthermore, these two opening sections review literature relevant to the research subject as well as concrete implementations of this literature. They also elaborate on research structure and method. The following three chapters, which divide the duration of the war into three periods, constitute the core of research analysis. At the end of each chapter the discussion, implications and conclusions are presented. The final chapter focuses on a summary of implications and conclusions. These three core chapters combine a description of the turns of events during the war (based primarily on data provided by the Vinograd Committee Report) and an analysis of the rhetoric used in Nasrallah’s appearances, while focusing on central issues which evidently influenced the decision-making process of Israel. When analyzing the rhetoric in Nasrallah’s appearances, use was made of examining different dimensions of rhetoric (visual, audio, psychological), its methods of use, an analysis of style and conveyed messages and means of persuasion etc. All this was done without focusing on one specific period in the historical development of rhetoric. Additionally, Nasrallah’s appearances were examined against the analysis of the rhetoric which characterizes leaders during time of stress and crisis. The first phase – lasted approximately 48 hours, starting from Wednesday, July 12th at 0900 (the abduction of IDF soldiers, Regev and Goldwasser, along the Israel-Lebanon border by the Hezbollah organization) and ended July 14th, Friday morning. During this phase, Nasrallah made a first time performance on the afternoon of the day of the abduction and hosted a press conference in Beirut. The second phase lasted about a week, starting from the morning of Friday July 14th and lasted through Friday July 21st. During this phase, Nasrallah appeared twice: on July 14th and 16th. In this chapter the rhetoric of his three performances was analyzed (a speech which ended in a press conference and two additional speeches). An attempt was made to point out Nasrallah's perceptions and stances during the first phases of the war. Moreover, an attempt was made to provide answers to the following questions: Could Israel's objectives of the war as were defined to itself been phrased otherwise? How could Israel's understandings of Nasrallah's insights have influenced decisions made in Israel? The second chapter relates to the second phase of the war, which lasted approximately a week and a half, starting on Friday July 21st and lasting through Wednesday August 2nd. During this period, Nasrallah made three performances, on Friday July 21st, on Wednesday July 26th and Saturday July 29th (a filmed conversation with a reporter from the Al-Jazeera television network and two additional speeches). The rhetoric in Nasrallah’s appearances was analyzed in this chapter as well. Additionally an attempt was made to examine developments which took place in Nasrallah’s perceptions after two weeks of fighting. Furthermore, an attempt was made to assess if and how these perceptions could affect Israeli decision-making, primarily regarding Israel's achievements at that stage of the war and its expectations for the near future of the war. The common factor between the first core chapters is the rhetorical analysis of Nasrallah’s appearances and the attempt to respond to questions raised about the manner in which the Israeli government and the IDF mobilization coped with and grasped the perception of inner-Lebanese, inter-Arab and international policy of the campaign in Lebanon. In the third chapter, there is an attempt to relate to Hezbollah's concept of military mobilization, as can be concluded from analyzing the rhetoric in Nasrallah’s appearances throughout all phases of the war. Thereafter, an attempt was made to point out the development and change which occurred in Nasrallah’s condition during the third and last phase of the war, as can be deduced from analyzing the rhetoric of his three speeches (5th ,9th ,12th of August), Moreover the chapter emphasizes his understandings of each phase of the negotiation of resolution UNSC #1701, juxtaposed against the simultaneous development in Israeli foreign policy. The chapter ends with an attempt to present Nasrallah’s perception of future developments on the “day after” in light of the analysis of the rhetoric observed in his last speech on August 14th. The most prominent term, often used by Nasrallah in all his speeches during the Second Lebanon War, is “standing firm”. Nasrallah provided different meanings for the term according to the circumstances, context and timing, while varying the use of the verb ‘to stand’ – “we will stand firm”, “we are standing firm”, etc. * “Standing firm” in the context of Lebanese unity and solidarity. * “Standing firm” in the context of the Hezbollah organization, its fighters and the Shi’ite community in Lebanon. * “Standing firm” in the context of the confrontation against Israel while emphasizing the aspect of deterrence. The afore-mentioned issues were in a way “pillars” on which Hezbollah was dependent. From Nasrallah's point of view, the ability to keep the pillars “standing firm”, without fault, was the key for attaining victory in the campaign. For each such “pillar” Nasrallah weaved a consistent and well organized chain of arguments and messages, which was modified in accordance with the progression of the war and the needs of the organization. The first “suit” was tailored in an attempt to justify the IDF soldiers’ abduction operation. Nasrallah did not anticipate such a harsh response by the Israeli side. He was therefore forced to invest additional effort in his endeavors to persuade the Lebanese public and both internal and external opposition of the legitimacy of the abduction. Nasrallah's rhetoric presented a claim that the abduction was legal according to the elementary guidelines of the Lebanese government. It was also justified morally bearing in mind the families of the prisoners, as well as being seen as the only alternative left after the negotiations with Israel to free prisoners in Israel's jails came to a halt. The second rhetorical “suit” was tailored bearing in mind the background of the war and the reasons for it. Nasrallah moved like a pendulum between two views that he held. The first view was that the cause for war was Israel’s reaction to the soldiers’ abduction, reinforced by the desire to avenge the humiliation of the withdrawal from Lebanon in May 2000 (Nasrallah claimed so until his appearance on July 26th). His second view was his claim that the war was a plot, well planned and intended to “exterminate” the Hezbollah organization. The plot was lead by the United States, the flagship of the “New Middle East” (where there is no room for “resistance” in Iraq, Lebanon and Palestine.) Israel was acting as the executioner. The plot was scheduled for September or October, and the abduction thwarted the preparations. This forced Israel to reschedule and hence Hezbollah was saved from a horrifying disaster. The third rhetorical “suit” included a web of his arguments and messages aimed at creating a sense of national struggle. Nasrallah sought to unite the parties, religious denominations and communities in Lebanon, supporting the concept that Hezbollah serves the goals of the Lebanese state, his war is its war, and Israel in this scenario is the enemy of all trying to inflict damage on nationalism, independent sovereignty and unity of the nation. This “suit” was the most intricate challenge with which Nasrallah coped during the war, from the day of the abduction until present time. Furthermore, combined with the fact that Nasrallah was strict on maintaining a thoughtful and calm appearance, he made a (relatively) wide use of intimidating rhetoric vis-à-vis his “domestic” opponents such as “the time for settling accounts” is soon to arrive. In retrospect, a year and half after the war, Hezbollah was indeed dragged into an inner-Lebanese violent dispute. The fourth rhetorical “suit” was used by Nasrallah through his dealings with the Arab countries. The challenge posed by the national struggle caused Nasrallah to appear as a child trying to prevent the flood by thrusting his finger in the dam. Actually, vis-à-vis the Arab and Muslim world (naturally excluding Syria and Iran), and specifically in reference to the moderate Arab coalition, there was no dam at all. Nasrallah expressed his profound disappointment from their conduct, time and time again, and would often use brutal expressions against the both leaders and regimes all the way to accusing them of providing support to Israel in its struggle against Hezbollah. For the second subject, the “pillar” of the members and fighters of the Hezbollah organization and the Shi’ite population against the Israeli assault, Nasrallah tailored three rhetorical “suits” for strengthening the foundations of the pillar: the first rhetorical “suit” leans on the religious, rooted and faith motif. Nasrallah, being a leader of religious orientation attempted to strengthen the spirit of his men by using religious motifs such as the roots of the Shiite group planted deep in Islam, the faith that Allah and his might will procure victory, and the honor of the believer aspiring to a death sanctifying Allah and achieving redemption. The second “suit”, leans on the combat military heritage of the Hezbollah organization. Nasrallah tried to plant hope in the fighters of the organization by mentioning their grandiose past achievements, in the terms of “what was will be again”. To accomplish that, Nasrallah quite often aggrandized the achievements of the organization in its campaign against Israel (“Din Veheshbon” July 1993, “Grapes of Wrath” April 1996, and the withdrawal of the IDF from Lebanon May 2000). The third rhetorical “suit”, was based on Nasrallah’s attempt to mitigate the opponent. In every speech Nasrallah exaggerated Israel’s weakness and the IDF’s weak points, while using picturesque and colorful descriptions. For the third subject, the “pillar” of Israeli confrontation and deterrence, Nasrallah tailored four “suits”, directed at the failures Israel had experienced in the past when it fought the Hezbollah organization. In this framework, Nasrallah continuously made claims regarding the lack of purpose of Israeli military action, since the latter will not attain its objectives. Two arguments strongly emphasized by Nasrallah in this context were: the soldiers will be retrieved only via an exchange deal mediated by a third party, and the continuance of the survivability of Hezbollah as an armed organization for a long period after the war had ended. The second “suit” emphasized the potency and new military capability of the Hezbollah organization. Nasrallah mentioned that his organization was not what it used to be in the past, saying that it was stronger (mainly since the IDF withdrew from Lebanon in the year 2000) The organization also had many “surprises” (e.g. – Surface-Sea missile model C-802 which struck the Israeli Navy vessel). Additionally, Nasrallah would often hint to the land military capabilities, which the IDF would encounter should it choose to invade Lebanon (the experience gained by fighters of the organization in land combat and warfare means, mainly anti-tank missiles). As a result, he claimed, the IDF would suffer many casualties, and Israel’s objective to halt rocket launches towards its territory would remain unattained due to the organization’s capability to launch missiles from deep inside Lebanese territory (long-range rockets). The third “suit” was aimed directly at what (according to Nasrallah’s perception) was Israel's weak point i.e. : the damage inflicted on Israel's economy and the toll on human life on the frontline and Israel's home front. Nasrallah, which in the past had described the Israeli society as “cobwebs” (in his speech after the IDF withdrew from Lebanon, May 2000), continued to claim to its inability to handle a crisis situation. In his speech, two weeks after the war had begun, he said – “what interests Israelis is the blood and the money”. The fourth rhetorical “suit” he had tailored was the ongoing attempt by Nasrallah (from his first appearance on the eve of July 12th until the war had ended) to undermine the faith of Israeli public in its leadership. Nasrallah on many occasions attacked the political and military leadership in Israel, accusing them of a lack of experience in the Lebanese arena as well as defining presumptuous and condescending objectives. According to his thinking, the longer the war lasted without Israel's objectives being achieved, the more the support of the Israeli public in its leadership would deteriorate. Consequently, Israel's leadership will be pressured to cease the fighting and end the war. “If we succeed in protecting, we will win (…) victory from our perspective is that resistance continues to endure (…) that Lebanon will stay united (…) and stand firm and will not agree to any humiliating term that might appear in an attempt to resolve the issue (…) so long as rockets are launched from Lebanon and damage the Zionists”. In a post war analysis, Nasrallah succeeded in defending Lebanon. Rockets were launched from Lebanon towards Israel for thirty-four days of combat, the resistance remained firm and Lebanon overcame a dire internal crisis (still with a high potential for escalation) and remained united. The question remains whether Nasrallah accepted any humiliating condition when attempting to resolve the conflict. 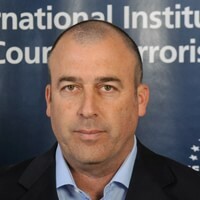 Analysis of the first phase (July 21st-22nd) indicated that if the IDF would have fully activated plan “Icebreaker” (recruiting reserve forces and posting an ultimatum to extend the campaign if Israel’s demands should not be realized), and not only the aerial component, a high probability exists that Israel would have accomplished an achievement principally similar to the UNSC resolution #1701. Yet, defining a goal such as retrieving the abducted soldiers immediately and by all means (defined also at the summary of the security cabinet from August 11th) – was unattainable. The decision of Israel's government (which opposed that of the military) not to attack Lebanon state infrastructure (e.g. electricity) led to friction in the foundations of the national Lebanese unity and solidarity “pillar” which Nasrallah had struggled to maintain. It is plausible that attacking infrastructure would have been a catalyst to national unity and positioned Hezbollah and its opposition from “home” on the same side of the political map. Nasrallah’s complacency regarding his personal security on the eve of war (his public appearance at the press conference held July 12th) exposed him to an attempted attack. It is difficult to estimate how the war would have developed if Israeli had successfully targeted Nasrallah and he had been killed. However, it can be cautiously assumed that it would have generated a positive effect in the aspect of Israel’s capabilities to achieve its objectives during a shorter time span. Analysis of the second phase (July 21st – August 2nd) indicated that Israel missed the opportunity to attain an achievement on the same level as that offered by the UNSC (already two weeks after the war had started), i.e. if it would have accepted the “Seven Point Plan” suggested by the Lebanese government. This plan was not just an idea consolidated by the supporters of Lebanese Prime Minister Siniora and warmly accepted by the Arab countries (mainly the “moderate block” – Saudi Arabia, Egypt and Jordan), but Hezbollah approved it as well (during a session of the Lebanese government, July 27th) without the interference of international pressure. Nobody would believed at the beginning of the war that Hezbollah would have willing to accept this plan which was in direct contrast to the organization's policies and views of the last sixteen years. The clause mentioning the transfer of the Sheba’a Farms to the UN received immediate and decisive objection from Israel. Although the issue of the farms was seen as a high “price” in Israeli terms, on the other hand, this forfeit would have drawn the “carpet from underneath Hezbollah’s feet” and would have created leverage for enforcing the implementation of the plan’s other clauses (desired by Israel). Analysis of the third phase (August 2nd-14th) indicated that prior to the ratification of the UNSC resolution #1701 (August 12th), it was possible to comprehend that its main achievement (if not ultimate) would be the implementation of the clause instructing to deploy the Lebanese military and UN forces in southern Lebanon. Nasrallah showed his approval of the idea when the matter was raised as a suggestion by the Lebanese government (August 7th) and declared so in his speech on the 9th of August. Yet it could have already been seen from the early stages of the war, and definitely during this third phase, that Israel's lack of willingness to pay a “price” (such as forfeiting the Sheba’a Farms), or the lack of an effective enforcement mechanism for the implementation of resolution#1701, made the likelihood of its successful implementation very low. Returning to the question: did Nasrallah agree to a humiliating term as he had defined? The post-war developments signify that principles, to which Nasrallah had decisively objected to in the past, such as the application of Lebanese sovereignty on the entire country, including the deployment of armed forces on the Israel-Lebanon border, have transformed into a current Lebanese reality. Hezbollah is no longer the “defender of Lebanon” and neither the “defender of the south”, as it used to refer to itself before the war. The Hezbollah organization metamorphosed from being an actual defender to a potential defender. While writing these very sentences (May 2009), the Hezbollah organization had not yet returned to performing terror attacks on Israel's northern border. A new president has been elected and a functioning government exists. Lebanon is also entering electoral campaign. So, if perhaps internal instability was used a motive for the lack of terror activity, this is no longer so. Hezbollah also has yet to retaliate for the death of the military leader of the organization, Imad Mugniyah. Today, after the completion of the kidnapped prisoners exchange (July 16th 2008), we are facing another trial period regarding the possibility of Hezbollah returning to execute terror attacks. How should Hezbollah be defined, almost three years after the Second Lebanon War? Is it still an organization (a term signifying the militant belligerent aspect) or is it now only a movement (a term attesting to the political and social aspect)? Any progress made in the implementation of the UNSC resolution #1701 (including resolution #1559, the disarmament issue) will influence the reduction of the relevance of the term ‘organization’ and lead to an increase in the relevance of the term ‘movement’. This is in fact the most significant accomplishment of the Second Lebanon War. Shimon Shapira, Hizballah: Between Iran and Lebanon, 2000, pp. 117-119, Nasrallah indeed developed in the track of religious studies, including a period of internship in Iran, however in the past he also performed a number of roles of an operative nature, e.g. – political responsibilty of the Amal movement in the Lebanese Bak’a area. Nasrallah was appointed Secretary General in February 1992 after Israel assassinated Abbas Musawi (16 February 1992) who acted as the leader of the organization at the time. A speech made by Nasrallah at Bint-Jebel after the IDF withdrawal from Lebanon. During the war, the reaction of senior officials of both the security and political establishments were published regarding Nasrallah’s threats and intentions to carry out long-range rocket attacks on Israel as well as Hezbollah's capability to do so. All appearances and their translation to Hebrew appear in the annexes of this paper; also, during the war, an article appeared in the Lebanese journal Al-Sapir detailing Nasrallah’s replies to the newspaper reporter, but I do not have further evidence of such transactions (the article as well appears in the annexes). Shai Frogel, 2006, Rhetoric, pp. 13-20. Aristotle’s book – “Rhetoric” is until this day a fundamental reference in the study of rhetoric. Shai Frogel, “Rhetoric”, 2005, pp. 28-30. Mula – Farsi alteration of the Arab word ‘maula’ translated to – mater, custodian, later became an expression symbolizing awed and senior religious status. A man investing all his energy and thought in realizing commandments of faith and its rulings. Amir Taheri, “The Spirit of Allah: Khomeini and the Islamic Revolution”, 1987, pp. 57. Martin Kramer, “Fadlallah: The Compass of Hezbollah”, 1998, pp. 15. Smadar Perry, ‘Nobody’s Puppet’, article that appeared in the daily newspaper “Yediot Haharonot”, 2004.